Over the weekend, I visited Broumov and the tourist in me was all about every architectural edifice in sight. One of which was the Marian Column (Morový sloup). 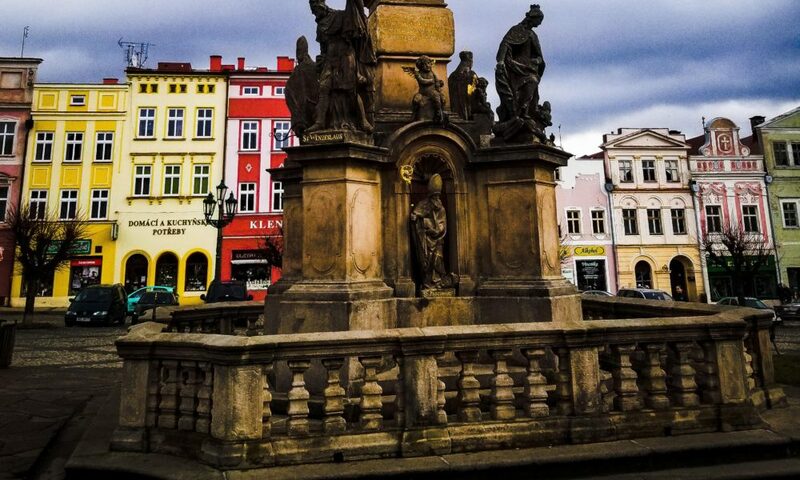 The Marian column is a sandstone column designed by Jan Brokof around 1706. It is a 12-metre-high structure surrounded by statues of St. Wenceslaus, St. Vojtech, St. Margareta, St. Hedwig, and patron saints of the Benedictine order in the alcoves. 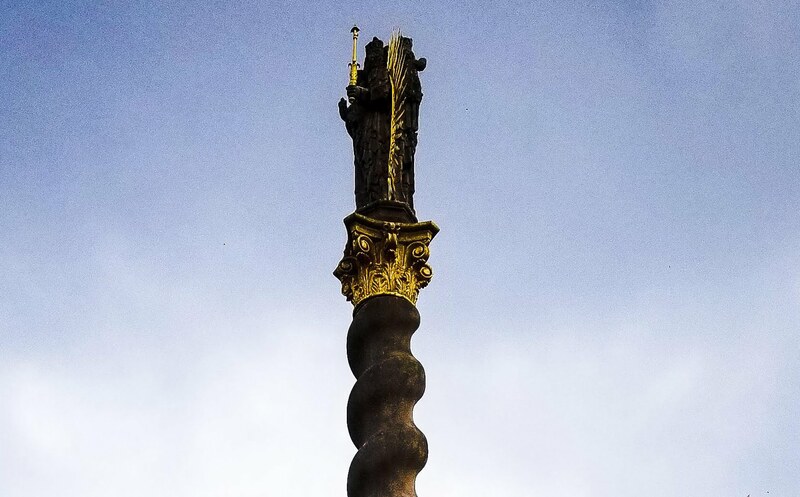 On the top of the statue, there is a two-sided statue connected with a metal aureole made of gold and reminds me of the Monstrance in the Catholic Church. The statue on the top I discovered is the statue of Virgin Mary with the Baby Jesus. 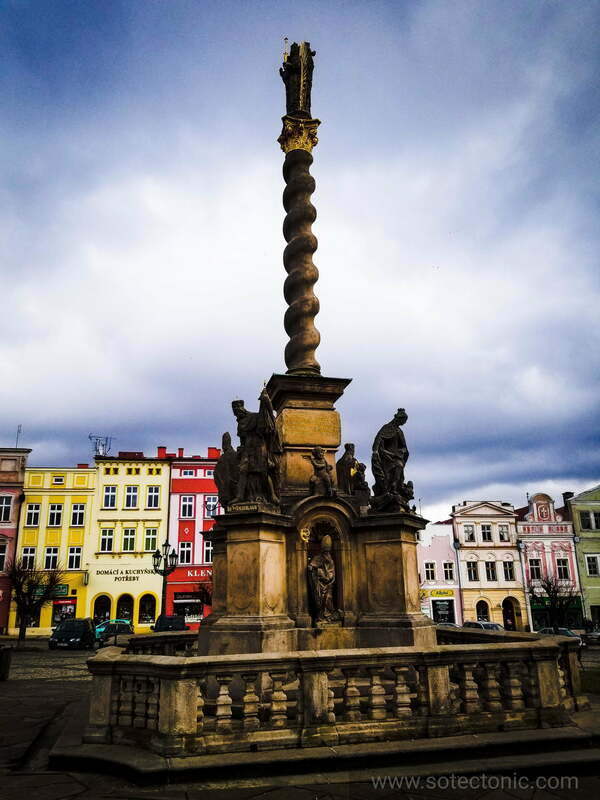 The Marian column is situated in the main square of Broumov, a town in Czech Republic.